The Shell Houston Open takes place this week as the PGA Tour remains in Texas for a second consecutive week. The field is a strong one as most of the golfers will be looking to hone their game ahead of the first major of the year, The Masters, which takes place next week. Jordan Spieth heads the betting at 8/1 and last week’s winner Jimmy Walker is not far behind them at 14/1. 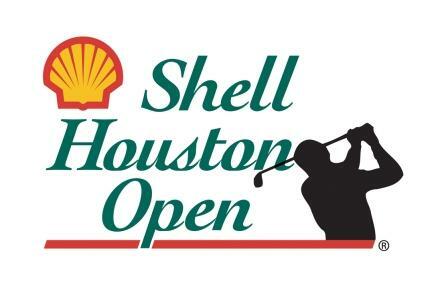 The Golf Course of Houston, previously known as Redstone Golf Club, has hosted the Shell Houston Open since 2003. It will undoubtedly mimic Augusta, thus allowing the pros to prepare for next week’s Major Championship. Redstone Golf Course will test each player’s all-around game, the greens are large and will inevitably be quick, this favouring the better putters and scramblers. The fairways are relatively wide and at 7,457 yards, the longer hitters certainly have an advantage. Over the last four years 21 players with stats available have finished inside the top five in the Shell Houston Open. 15 of those 21 players were ranked inside the top 35% in the driving distance statistic in the year they recorded their top five finish. This shows how important driving distance is this week, however DA Points did win this event in 2013 and was ranked 138th in driving distance statistic on the PGA Tour out of 180 players. Sergio Garcia – Garcia is a generous price at 28/1 in my opinion, he should be closer to the 20/1 mark. Admittedly Sergio hasn’t had the greatest of starts to the season but he came close to winning the Northern Trust Open not so long ago. I expect his game to be sharp ahead of The Masters as he looks to secure his first major championship. Garcia finished 3rd around this track last year, this suggesting he is more than capable of performing well around Redstone Golf Club. Daniel Berger – Daniel Berger is one of many young talents on the PGA Tour and at 66/1 I’m more than happy to back the young American. He’s made an excellent start to his first season on the PGA Tour, he has already recorded five top 15 finishes. This includes a second place finish in the Honda Classic where Daniel lost in a playoff. As I’ve mentioned above, length is beneficial around The Golf Course of Houston and Berger is averaging an astonishing 302 yards off the tee. Scott Piercy – I don’t anticipate many Scott Piercy backers this week but I believe he is an excellent bet at 125/1. The American had a very good start to the season recording four top 20 finishes and he appears to be finding some form once again. He finished 31st in the Honda Classic not so long ago and 40th last week in the Valero Texas Open. Scott finished 21st in his last visit to Houston Golf Club and that’s not surprising when you consider it suits his game. He is long off the tee which is undoubtedly an advantage going into this week.